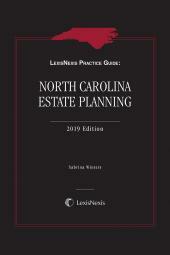 North Carolina Forms on CD-ROM from LexisNexis (formerly part of the Michie series) puts the five-volume Douglas' Forms, Fourth and Fifth Editions, as well as additional forms from Robinson on North Carolina Corporation Law, at your fingertips. Complete with the notes and suggestions that have made these references a favorite of North Carolina practitioners for more than 50 years, these forms help you practice more efficiently and accurately than ever. Available either as a separate CD or as an addition to North Carolina Primary Law research system, North Carolina Forms on CD-ROM provides more than 750 forms in a convenient and portable electronic format to save you countless hours drafting your clients' critical documents.